Meet Dr. Glenn Sorrentino, D.C.
Dr. Glenn Sorrentino is an expert at keeping people healthy, pain-free and structurally sound. His extensive knowledge, friendly demeanor and unique treatment approach have made him a patient favorite. His passion and commitment are evident in the success stories of his patients, many who thought their cases were hopeless. Our philosophy at NJ Spine & Joint is to get to the root of a patient’s problem rather than just mask the symptoms, we want our patients to be healthy and pain-free. Dr. Sorrentino and the talented team of healthcare professionals provide customized treatment programs at our state-of-the-art Cedar Grove office, where we use the world’s most advanced healing technology. 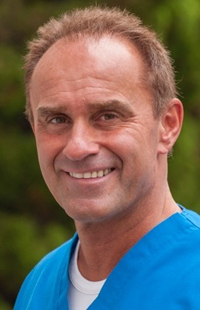 Dr. Sorrentino has a wealth of experience, including more than 20 years in New York City, where he helped thousands of patients from all walks of life, including professional athletes and celebrities. A graduate of the prestigious Life University in Georgia with a sports medicine degree from Parker College in Texas, he is a founding member of the Council on Fitness and Sports Health Science for the International Chiropractors Association. He is a member of the International Chiropractors Association, the Association of New Jersey Chiropractors and the NJ Chiropractic Council on Sports Injuries and Rehabilitation. A recognized speaker on health and wellness, Dr. Sorrentino is an active member of the community and enjoys keeping fit with gym workouts, biking and outdoor activities. For a free consultation with Dr. Glenn Sorrentino, call NJ Spine & Joint at (973) 433-0889 or contact us.